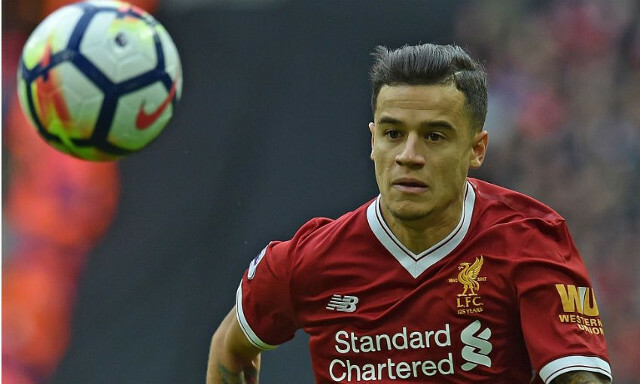 Liverpool fans were dealt a nasty blow today when the reliable Chris Bascombe of the Telegraph tweeted that Coutinho is expected to miss the next three games with an abductor strain. That’s Huddersfield this weekend, Maribor in the Champions League and West Ham next – three must win games at a pivotal stage in our season. Coutinho injured. Out of Huddersfield game. Struggling to be fit for Maribor/West Ham. However, when asked about it in today’s press-conference, Klopp claimed there’s still a chance of our no.10 starting the Huddersfield clash tomorrow. “It’s not clear in the moment,” he told reporters. “Last week he had some back problems, then during the week it settled with treatment, so he was fit for the game. “This week he has a little bit of a problem with the adductor. It’s not clear if he’s out for tomorrow. Although Liverpool’s manager hasn’t ruled out the possibility, we’d suggest that the Brazilian is unlikely to be risked – considering Klopp’s penchant for fielding fully fit players. Annoyingly, he’ll probably return to full fitness just in time for the international break after the West Ham game, just as he did at the beginning of the season. With Liverpool in such desperate need of a win, it’s not the news we wanted this afternoon.